Penny stocks are stocks that are either low in value or low in the total market capitalization. The definition of penny stocks can vary a bit from one person to another. 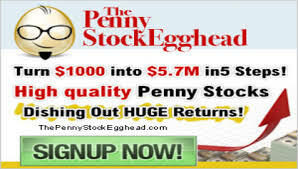 Generally, penny stocks can be understood to mean any stock that is not a major stock. The two criteria that we have set above will determine whether a stock is a penny or not based on its price and market capitalization. In addition, one can also consider a stock as a penny stock if it does not conform to stock exchange regulations and are thus more risky. In practice, however, it would be extremely difficult to find a large market stock that is not meeting the major stock exchange regulations. Because of this reason, penny stocks are generally understood to be those stocks whose absolute price or market capitalization is very low. The next question that arises is ‘how low is low’? Obviously this is a little subjective and also prone to change from time to time. While there are no hard and fast rules, we can follow some rules of thumb. However, you must remember that not only are these rules not sacrosanct but also are likely to keep changing over time. Having said that, we can set some rules of thumb for considering a stock as penny stock. Any stock that is below a certain cut off price is considered as penny stock. The cut off price is a matter of opinion. Some consider any stock below $5 to be a penny stock, while others are more liberal and consider only those stocks that are below $3 to be penny stocks. There are still others who would rather set the limit at $1, considering any stock above $1 as not a penny stock. Similarly, in the case of market capitalization, various limits are set by various people. In general, we can consider any stock with a market capitalization below $300 million to be a penny stock. There could further classifications within this group, with stocks having a market cap of below $50 million being considered a step below penny stocks and classified as nano-cap stocks. The general idea is that any stock having a low per stock price or low market capitalization would be considered as a penny stock. In case you are wondering what is market capitalization, here’s some information that would help you. Market capitalization (or market cap for short) is the total value of all outstanding stocks at the current price. Suppose a stock sells at $10 and there are 100,000 stocks outstanding, the total market cap would be 10 x 100,000 or $1 million. Market cap is an important indicator, because the greater the total amount outstanding the greater the stakes. 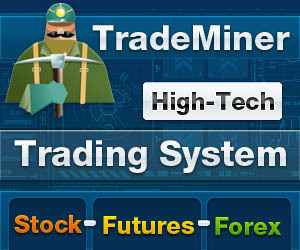 If a large number of people or a large amount of money is involved in a stock, the chances are that there will be greater control on the stock. There is one exception to this. If the stock is not traded on a regular stock exchange like NASDAQ, it is not under any regulatory control to comply with a number of regulations that have been designed to safeguard the interest of the investor. In these cases, even if t he market cap or the price is large, there may not be sufficient safety. In general, however, we can assume that for large market cap stocks the possibility of being outside the purview of a recognized stock exchange are very remote. The reasons for this, as well as the reason why penny stocks are considered risky will form the subject matter of our next article.